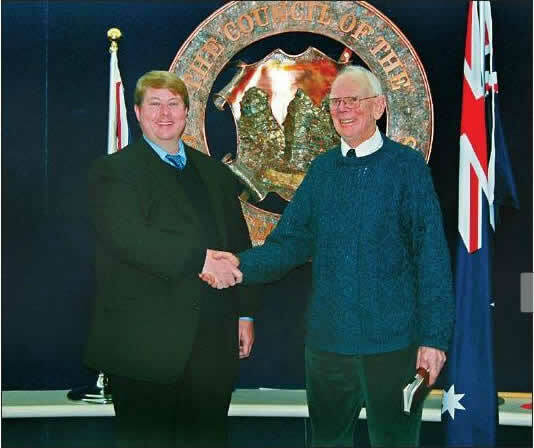 Blue Mountains mayor Daniel Myles thanked Paul Trevaskis at the most recent council meeting for his 28 year tenure with the Blue Mountains Commuter and Transport Users Association. Mr Trevaskis, who stepped down from his role as secretary recently, was presented with a certificate of appreciation in recognition of his service to the community. Page Updated: Saturday, 13-Aug-2011 04:33:43 PDT.